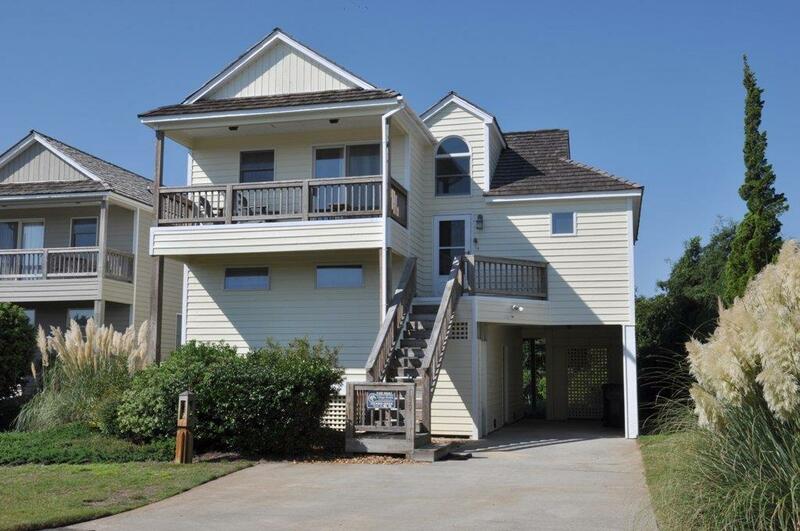 Catch the beautiful panoramic water and golf views over the sixth green on the Nags Head Golf Links and wonderful Outer Banks sunsets from the hot tub or one of the 3 decks. Easily walk to the golf club and sound-side pier. Located on a quiet cul-de-sac;comfortable. Close to Outer Banks attractions like Jockey's Ridge and the Oregon Inlet Fishing Center, shopping and excellent restaurants. The home is a split level with the top floor hosting the living room and kitchen, mid level is the master bedroom, deck with hot tub and a full bath and the lower level has the other two bedrooms/full bath, viewing deck and laundry area. . Conveniently located near Grocery stores, outlet shopping, fishing piers and great restaurants. sound side parks with piers for your enjoyment. Beach Club and Nags Head Golf Links memberships are available. Use all or as little of the amenities offered in the Village and only pay for what you chose to use. Free shuttle for you and your guest, sound side parks and piers and beach access and bath house are there for all owners and guest. Beach club and golf links are private membership.